Great and convenient location. Amazing view to the sea. Comfortable and clean rooms. The hosts are excellent people, ready to help and recommend things to do at any moment. The beach Diakofti is the best beach on the island. Great place for your summer vacation. Perfectly quiet and clean(daily), very close to Diakofti beach(the only good sandy beach on the island). The owner was very kind and helpful. Don't think about this place just make booking and feel like home. Best wishes for the future, THANK YOU AGAIN ! Η τοποθεσια , ηρεμία , υπέροχη καθαρή θάλασσα και δροσιά . Η καθαριότητα. Κάθε ημέρα οι πετσέτες αλλάζονταν (σαν παράδειγμα αναφέρεται). Το διαμέρισμα ήταν πλήρες από πλευράς ευκολιών (εστία κουζίνας, ψυγείο, σεσουάρ, σίδερο, βραστήρας, κουζινικά σκεύη, μαχαιροπήρουνα, ποτήρια, a/c, πολλές πρίζες για φόρτιση, πολύ καλό Internet, -είχε καφέ, ζάχαρη κλπ. δωρεάν- μέχρι και ηλεκτρική συσκευή για τα κουνούπια. Σίγουρα ξεχνάμε και άλλα. Οι οικοδεσπότες πολύ ευγενικοί και πρόθυμοι να μας διευκολύνουν. 'Αριστη συμπεριφορά. Η θέση του ξενοδοχείου αρίστη με θέα στη θάλασσα και με μια ανατολή υπέροχη. Η θάλασσα κοντά (200 μέτρα) ήταν απίστευτη. Σίγουρα θα ξαναπάμε. Ήταν η πρώτη φορά που επισκεφθήκαμε τα Κύθηρα. Lock in a great price for Agnadi Studios – rated 9.4 by recent guests! 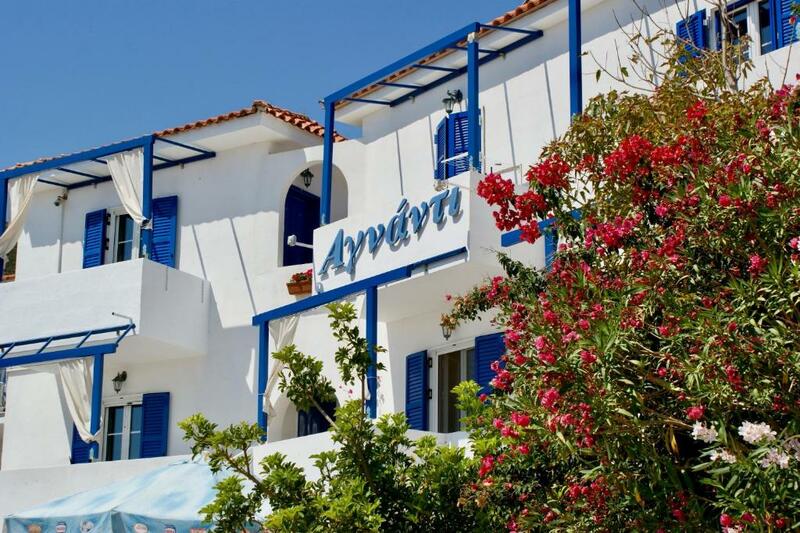 The traditionally-built Agnanti Studios is located in Diakofti of Kythira, just 650 feet from the beach and a short walk from taverns and bars. It offers free Wi-Fi in all areas and self-catering units with a balcony or patio. BBQ facilities are available in the garden for al fresco dining. Overlooking the Aegean Sea, the garden or the mountain, the studios and apartments are fitted with wrought-iron beds and soft colors. Each features a kitchenette with dining area, fridge and a small electric oven with cooking hobs. Air conditioning, a TV and a hairdryer are available. The scenic Kythira Town lies within 14 mi from Agnanti Studios and Diakofti Port is located 650 feet away. 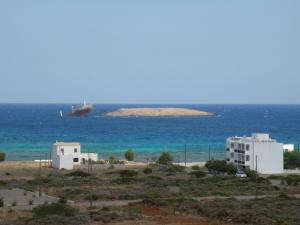 The seaside Kapsali Village is at a distance of 16 mi. Free private parking is possible on site. This property is also rated for the best value in Diakofti! Guests are getting more for their money when compared to other properties in this city. When would you like to stay at Agnadi Studios? This air-conditioned studio opens to a balcony or patio overlooking the Aegean Sea, the garden or the mountain. It has a well-equipped kitchenette with dining area. A TV and free Wi-Fi are available. House Rules Agnadi Studios takes special requests – add in the next step! Agnadi Studios accepts these cards and reserves the right to temporarily hold an amount prior to arrival.